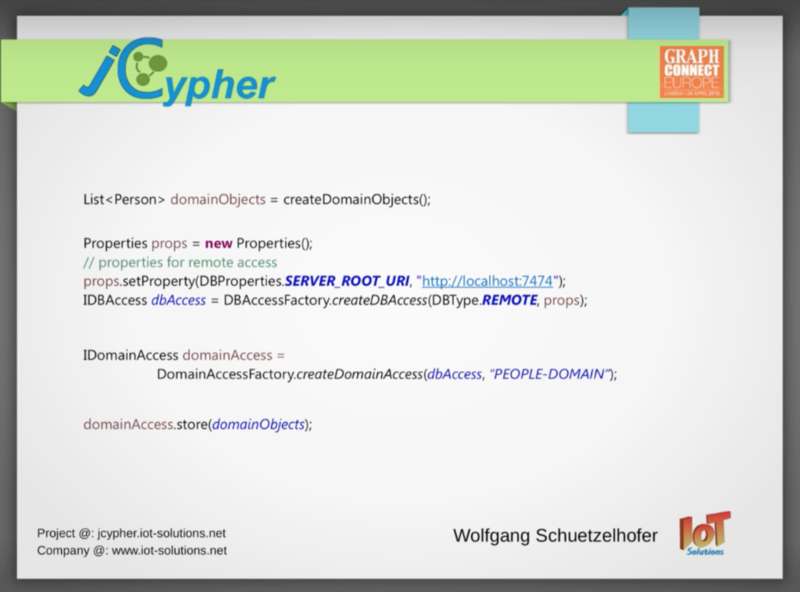 In this post we take a look at the latest DSL created to help integrate Cypher with Java applications. 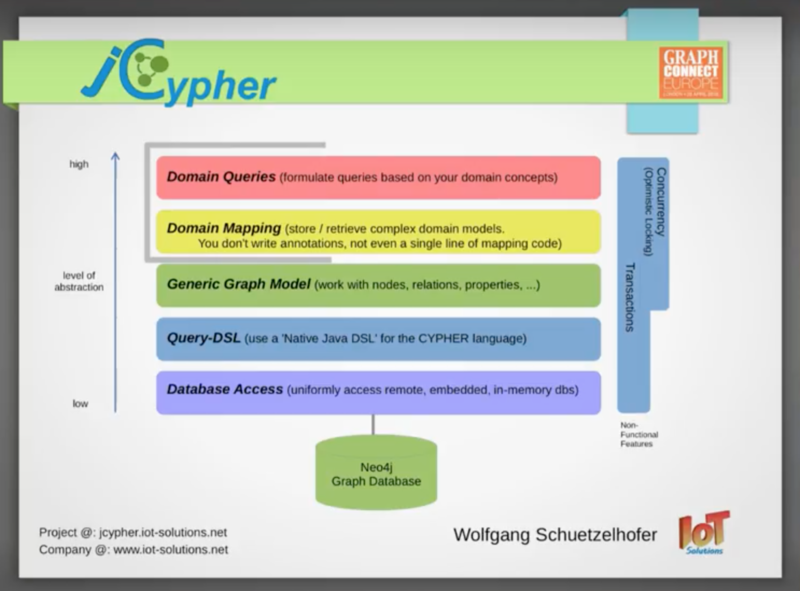 Could this be the answer to your Cypher dreams? Next, there was the question, what Java result should such a query return? 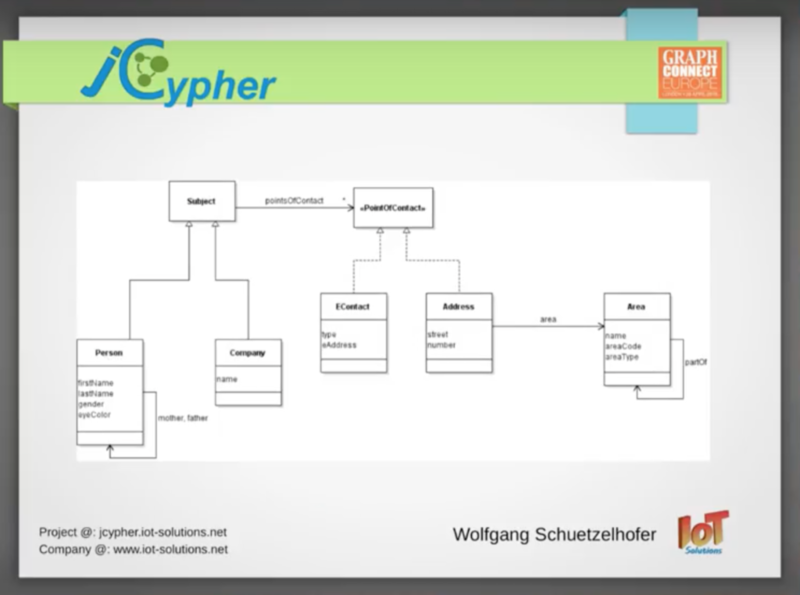 The decision was towards a generic graph data model consisting of nodes, relationships, labels, types, and properties. Because the model is so simple, it’s easy to read, navigate and modify. And you can take a modified model — or even an empty model — and store it in a straightforward way back into the database by simply calling store on the model. You don’t have to write query expressions for the actual update because this is completed in the background. First, we instantiate some domain objects and populate the graph that stands behind this createmethod, which returns a list of persons that serve as root objects of the domain object graph. Now we have collected all areas of all Smith’s addresses. To complete the query, we use a SELECTclause to select all of the Smiths for which the collected areas contain Europe. 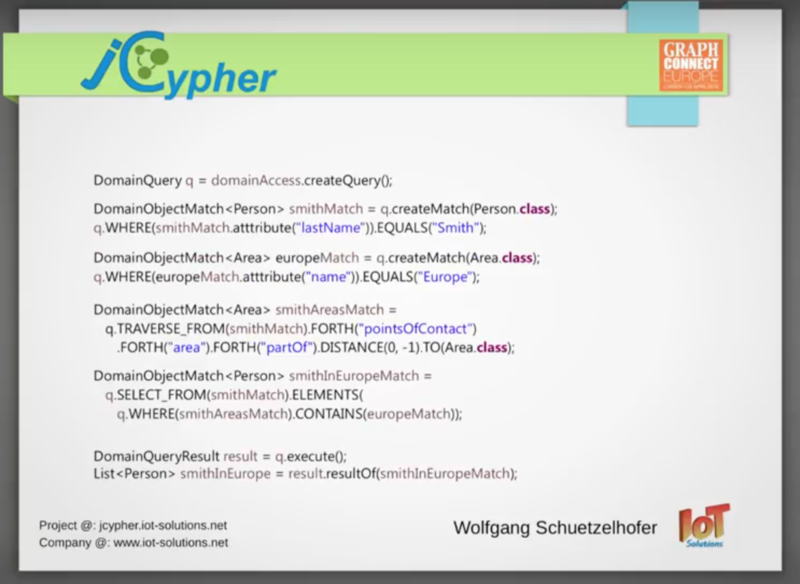 Next we execute the query and retrieve the actual result, which is a list of persons with the last name Smith who have addresses in Europe. 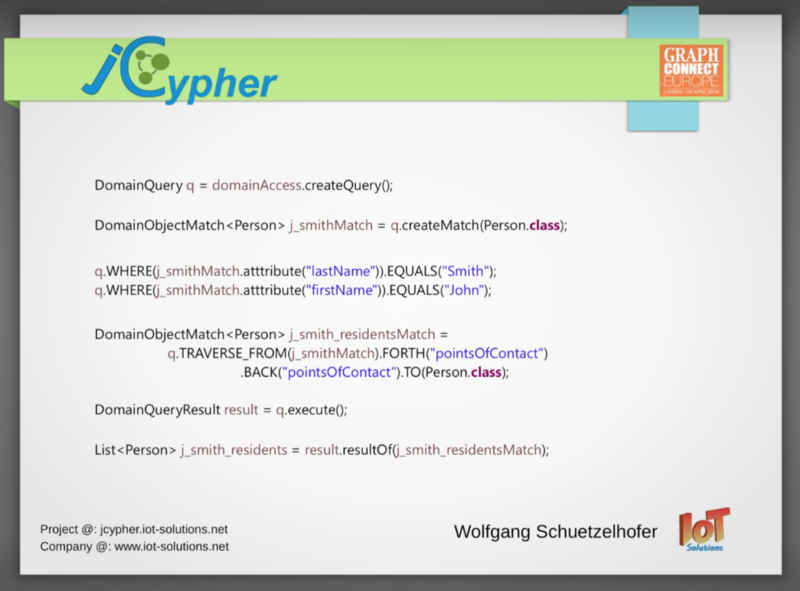 New JCypher features are being added on a regular basis. For example, in one of the next releases, you’ll be able to store domain queries for later use, even if you don’t have access to the Java code which originally created it. Another new feature is called JCypher-Server, which is a server-side implementation of JCypher that provides a RESTful API along with a WEB-UI. This will allow users to experiment with domain models and domain queries. It’s in the very early stages, but it will grow functionally over the next few months. Published at DZone with permission of Wolfgang Schutzelhofer , DZone MVB. See the original article here.